Vitamin K deficiency bleeding, thought to be a problem of the past—has been recently thrust back into the spotlight. In 2013, six infants were admitted to Vanderbilt Children’s Hospital in Nashville, Tennessee, with life-threatening bleeding. The infants were diagnosed with late Vitamin K deficiency bleeding (VKDB)—four of the infants had bleeding in the brain, and two had bleeding in the intestines. Although the six infants survived, two required emergency brain surgery to save their lives, one has severe brain damage (a stroke with right-sided paralysis and severe cognitive delays), and two have mild to moderate brain injuries (Schulte et al, 2014). What did these infants have in common? The infants ranged in age from seven weeks to five months old; three were male and three were female. Three of the infants were born in hospitals, two were born at home, one was born in a birth center. They all had normal, vaginal births (no Cesareans, no forceps, no vacuum deliveries). Both the babies and their mothers had not been taking any antibiotics, they had not been sick, the mothers were not on restrictive diets, and the babies had no head trauma. All of the infants were exclusively breastfed, and they all had critically low levels of Vitamin K in their blood. Most importantly, what these infants had in common was that all of their parents had declined Vitamin K shots at birth. Concerned by this outbreak, the hospital asked the Centers for Disease Control (CDC) to look into the situation. Researchers from the CDC examined Tennessee hospital records and found that between the years 2007 and 2012, there had been zero cases of Vitamin K deficiency bleeding out of more than 490,000 births. They randomly sampled records from babies born at three Nashville hospitals and found that 96.6% of infants received Vitamin K injections. In contrast, only 72% of infants born in local freestanding birth centers received Vitamin K (Warren, Miller et al. 2013). When the parents of the five infants were asked why they had declined Vitamin K, their reasons for declining included: concern about an increased risk for leukemia, a belief that the injection was unnecessary and “unnatural,” and a fear that their infant would be exposed to toxins in the shot. Only one of the families was aware that life-threatening bleeding was a possibility if they declined the injection (Warren, Miller et al. 2013; Schulte et al. 2014; Personal communication, Dr. Robert Sidonio, 2014). So what is the deal with Vitamin K? Why do most babies receive a Vitamin K shot? Can the shot really cause leukemia? (The answer is no.) What are the chances that an infant will develop life-threatening bleeding if he does not receive the Vitamin K shot? What is the evidence that the shot prevents bleeding? Are there any alternatives? 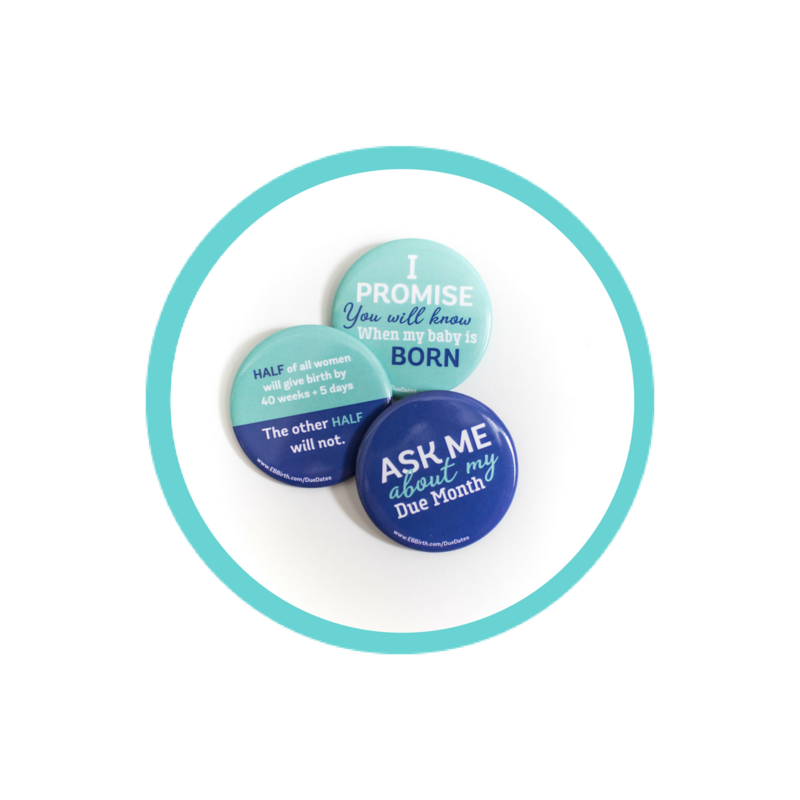 These are the questions we will be tackling in this Evidence Based Birth® Signature Article. What is Vitamin K and what does it do in the body? Vitamin K is necessary for our bodies to activate certain molecules (also known as clotting factors) that help the blood to clot. The blood clotting factors are there in normal numbers at birth, but not activated fully due to low levels of Vitamin K. If we do not have enough Vitamin K, then we cannot activate these molecules. So a Vitamin K deficiency makes our blood less able to clot. For the most part, our bodies can continue to clot appropriately with low Vitamin K levels. However, as the levels get lower and lower, we can suddenly reach a point where our bodies can no longer clot and we start to bleed spontaneously. The level that you have to get down to for bleeding to start varies from person to person. When the bleeding will occur is completely unpredictable (Shearer 2009). What can happen if a baby does not have enough Vitamin K? A baby who does not have enough Vitamin K can start to bleed suddenly, without warning. This is known as Vitamin K deficiency bleeding. Vitamin K deficiency bleeding can be idiopathic or secondary. Idiopathic VKDB means that the cause is unknown. Virtually all cases of idiopathic VKDB happen in babies who are exclusively breastfed (Shearer 2009). Secondary VKDB means that the baby has an underlying disorder such as gallbladder disease, cystic fibrosis, or medication side effects. Most babies who have secondary VKDB are also exclusively breastfed (Shearer 2009). Vitamin K deficiency bleeding can follow one of three patterns: early, classical, and late. Early VKDB happens in the first 24 hours of life. Early VKDB is usually seen in babies born to mothers who took medicines that interfere with Vitamin K. These medicines may include warfarin (Coumadin), seizure medications, and tuberculosis medications. The bleeding usually happens in the skin, brain, and abdomen (Shearer 2009). Classical VKDB happens in days 2-7 of life, usually during days 2-3. This is when levels of Vitamin K are lowest. Common bleeding sites include the gastrointestinal system, umbilical cord site, skin, nose, and circumcision site. The official cause of classical VKDB is listed as “unknown,” but breastfeeding and poor feeding (<100 mL milk/day or <3.4 ounces milk/day) are major risk factors (Shearer 2009). What is the history of giving Vitamin K to newborns? In 1894, a Boston physician named Dr. Townsend described 50 cases of bleeding in newborns. He called these cases “Haemorrhagic Disease of the Newborn (HDN).” Dr. Townsend was the first person to figure out that there was a connection between poor or insufficient breastfeeding and bleeding in newborns (Shearer 2009). In 1930, a Danish biochemist found that Vitamin K deficiency was the cause of unexpected bleeding in baby chicks (Lippi and Franchini 2011). In 1944, a definitive Swedish study was published including more than 13,000 infants who were given 0.5 mg of Vitamin K (either oral or injection) on the first day of life. The researcher found that infants who received Vitamin K experienced a 5-fold reduction in the risk of bleeding to death during the first week of life. It was estimated that for every 100,000 full-term infants who were born, Vitamin K would save the lives of 160 infants per year (Lehmann 1944). ( Table 1 ). In 1961, after nearly 2 decades of research had been published, the American Academy of Pediatrics recommended giving Vitamin K shots after birth. This practice has been the standard of care in the U.S. ever since (AAP, 1961). By 1999, the name HDN was changed to Vitamin K deficiency bleeding (VKDB) to indicate that that this condition is caused solely by Vitamin K deficiency. The new name also reflects the fact that some infants begin bleeding later in infancy—after the four-week newborn period is over (Shearer 2009). How common is late Vitamin K deficiency bleeding (Late VKDB)? Late bleeding (after the first week of life) is the most dangerous kind of VKDB (Shearer 2009). When infants do not receive any Vitamin K at birth, statistics from Europe show that 4.4 to 10.5 infants out of 100,000 will develop late VKDB. Rates are higher in Asian countries (1 out of every 6,000 infants). When infants receive oral Vitamin K at least three times during infancy (typically at birth, one week, and four weeks), anywhere from 1.4 to 6.4 infants out of 100,000 will develop late VKDB. When infants receive the Vitamin K shot at birth, anywhere from 0 to 0.62 infants per 100,000 have VKDB. In an 18 year period in the United Kingdom, only two babies who received the shot had late VKDB brain bleeds, out of 64 million births (Busfield et al. 2013). For references for these numbers, see the Table at the bottom of the article. Overall, late VKDB is rare in most European countries. On the other hand, it is more common in some Asian countries, such as Japan, Vietnam, and Thailand. In Thailand, back in the 1980s, infants did not receive any Vitamin K at birth. 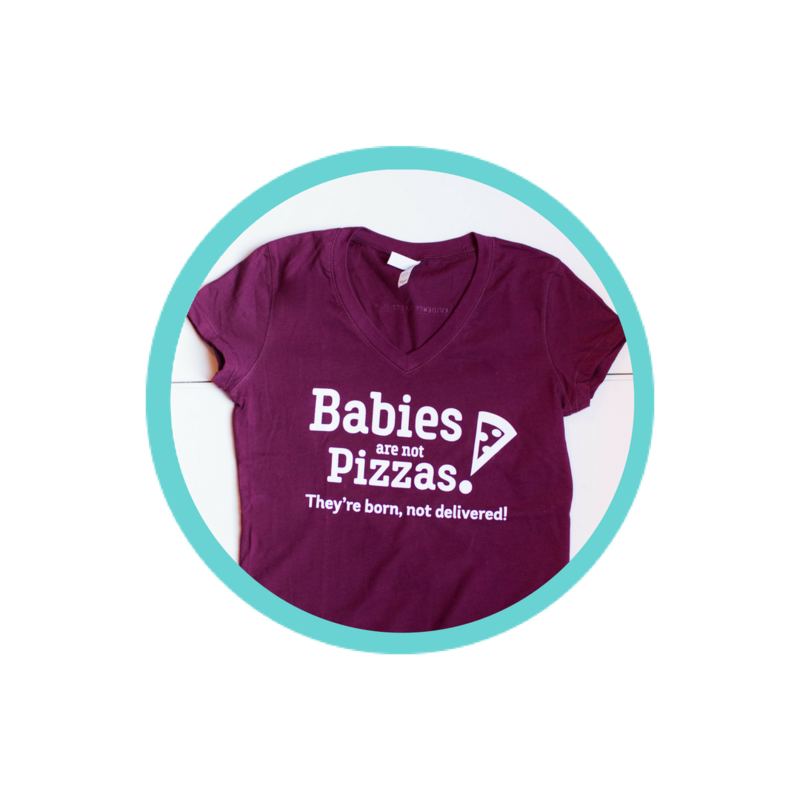 At that time, researchers reported that 72 out of 100,000 infants developed late VKDB. Researchers don’t know why rates of late VKDB are higher in some countries compared to others, but it’s thought that it is related to a combination of environment (diet) and genetics (Hanawa, Maki et al. 1988; Danielsson, Hoa et al. 2004). The U.S. does not track the number of cases of late VKDB, so we don’t really know how frequently it would occur if we stopped giving the shot routinely. What are the potential consequences of late VKDB? Although late VKDB is rare, the consequences can be catastrophic. More than half of infants who develop late VKDB will have bleeding in the brain. The mortality rate for late VKDB is approximately 20%. (Shearer 2009; Lippi and Franchini, 2011). One study that looked at 131 cases around the world found an overall death rate of 14%. Of the surviving infants, about 40% had long-term brain damage. In low-income countries, many babies with late VKDB may die before reaching the hospital, and because their diagnoses and deaths are undocumented, these cases would not be counted in any of the VKDB statistics. (Shearer 2009) One of the most dangerous things about VKDB is that you may not recognize it until it is too late. Infants cannot tell us what is going on, and symptoms of brain injury may be subtle— such as difficulty feeding, lethargy, or fussiness. Unfortunately, a brain bleed may reach a critical size before parents seek medical attention. And it can take even longer for health care professionals to figure out what is wrong (Schulte et al. 2014). What about classical VKDB? Is that dangerous? Classical VKDB—bleeding that occurs in the first week of life—is more common than late VKDB. Information from older studies shows that 0.25% to 1.5% of newborns (250 to 1,500 out of 100,000) will experience classical VKDB if they don’t receive Vitamin K at birth, while more recent reviews show that the number is closer to 0 to 0.44% (0 to 440 out of 100,000). This type of VKDB is usually mild and involves bleeding at the umbilical cord site or circumcision site. However, blood loss can be significant. The mortality rate of classical VKDB is very low in developed countries. However, in Ethiopia, researchers reported a mortality rate of 25%. Mortality rates from classical VKDB are probably higher in developing countries such as Ethiopia because of scarce medical resources and a delay between when babies start to bleed and when they receive treatment (Lippi & Franchini, 2011). What is the treatment for Vitamin K deficiency bleeding? The main treatment for VKDB is to give the infant Vitamin K. When an infant with VKDB receives a shot of Vitamin K1, this will usually slow or stop the bleeding within 20-30 minutes (Shearer 2009). However, if bleeding happens in the brain, the infant may already have brain damage by the time the shot is given. Other treatments that have been used in infants with late VKDB include blood and plasma transfusions, brain surgery to remove the accumulated blood, and giving anti-seizure medicines (Personal communication, Dr. Robert Sidonio, 2014). Delayed cord clamping raises iron levels, so wouldn’t it raise Vitamin K levels as well? Delayed cord clamping raises iron levels because cord blood is rich in iron. In contrast, cord blood has extremely low levels of Vitamin K1 (<.05 micrograms per Liter). Vitamin K1 is poorly retained in the body, and the Vitamin K1 that is stored is primarily in the liver, not in the bloodstream. So although delayed cord clamping increases iron levels, it is highly unlikely that this would help raise Vitamin K levels enough to prevent VKDB (Shearer 2009; Olson 2000). In one small study, researchers measured Vitamin K levels in nine expectant mothers and then measured the levels in the cord blood after birth. These mothers were healthy and had normal Vitamin K levels, but there was no Vitamin K detected in the cord blood. Six other mothers received 1 mg of intravenous Vitamin K1 right before delivery. After these mothers were given Vitamin K, the researchers were able to detect Vitamin K1 in the cord blood in 4 out of 6 infants, but the levels were still very low. It is thought that Vitamin K1 either does not cross the placenta easily, or that the baby’s blood lacks enough fatty lipids that are needed to pick up the Vitamin K1 (Shearer, Rahim et al. 1982). Why do breastfed babies not have enough Vitamin K? There are two main reasons why babies do not have enough Vitamin K in their system. Babies do not have enough bacteria in their intestines to make Vitamin K2. 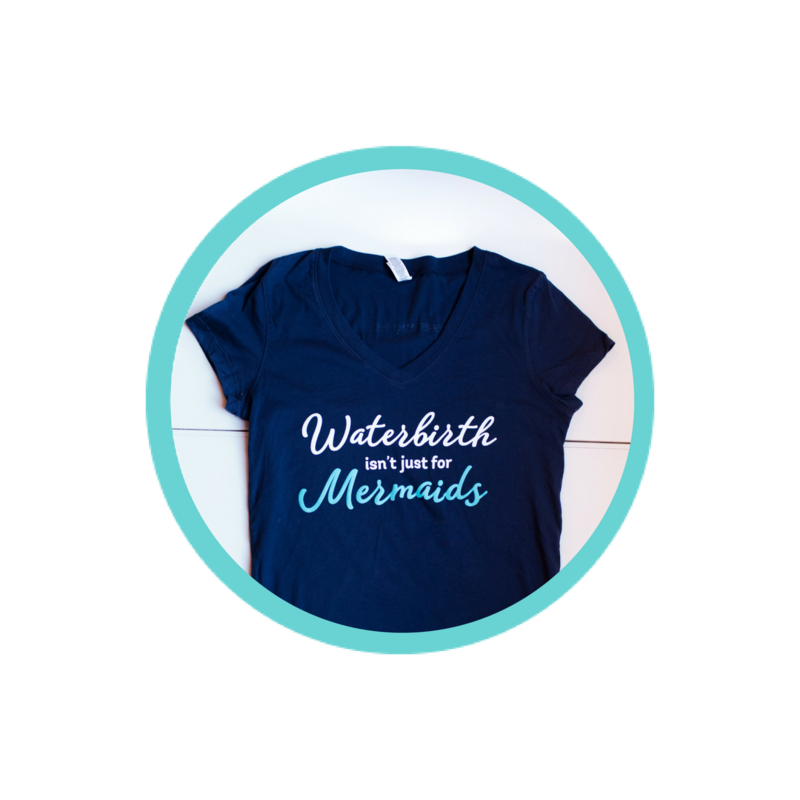 Second, breast milk has very tiny amounts of Vitamin K. Colostrum has about 2 micrograms of Vitamin K per Liter, while mature milk has 1 microgram per Liter (von Kries et al, 1987). Virtually all babies with late VKDB are exclusively breastfed. When studies looked closely at infants who develop late VKDB, they found that mothers of these babies had normal levels of Vitamin K in their milk supply. It is thought that maybe some of these babies had a problem with absorbing the Vitamin K from their mother’s milk (Shearer 2009). Why are formula-fed babies protected from Vitamin K deficiency bleeding? There are virtually no reports of VKDB occurring in infants who are formula fed. This is because in contrast to breast milk, formula has relatively high levels of Vitamin K1—55 micrograms per liter (Shearer 2009). On average, babies who are fed formula receive nearly 100 times more Vitamin K1 than babies who are breastfed (45.4 micrograms per day compared to 0.55 micrograms per day). Blood levels of Vitamin K1 in 6-week old breastfed babies are about 0.13 micrograms per liter, compared to 6.0 micrograms per liter in formula-fed babies (von Kries, Shearer et al. 1987; Greer, Marshall et al. 1991; Shearer 2009). How much Vitamin K is in the shot and how much might actually be needed to produce the desired result? Depending on the country in which the Vitamin K is administered, there are 1 to 2 mg of Vitamin K1 in the injection. This dose is what was tested in the original studies on Vitamin K, starting in the 1960s and continuing into the 21st century. Although this amount may seem high to some, it is thought that the Vitamin K1 injection is temporarily stored in the leg muscle and gradually released into the baby’s system over the next several months. This kind of delayed-release explains why the shot protects babies from both classic AND late Vitamin K deficiency bleeding (Loughnan and McDougall 1996) . What are the ingredients in the shot? 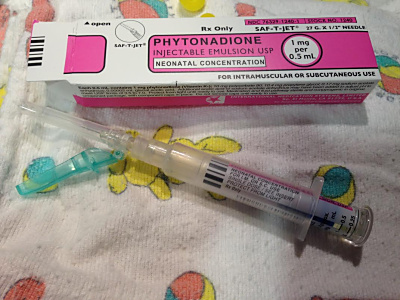 It has been reported that some parents refuse the injection because they are concerned about ingredients in the shot, which the parents call “toxins.” One way to alleviate this concern is to ask your hospital if they have the preservative-free version of Vitamin K.
10 mg of Polysorbate 80, which helps Vitamin K1 (a fat-soluble Vitamin) dissolve in liquid for the injection. Polysorbate 80 is made from natural sorbitol and plant-based oleic acid, is used in a wide variety of foods, medicines, and vitamin supplements, and is included in the Handbook of Green Chemicals. 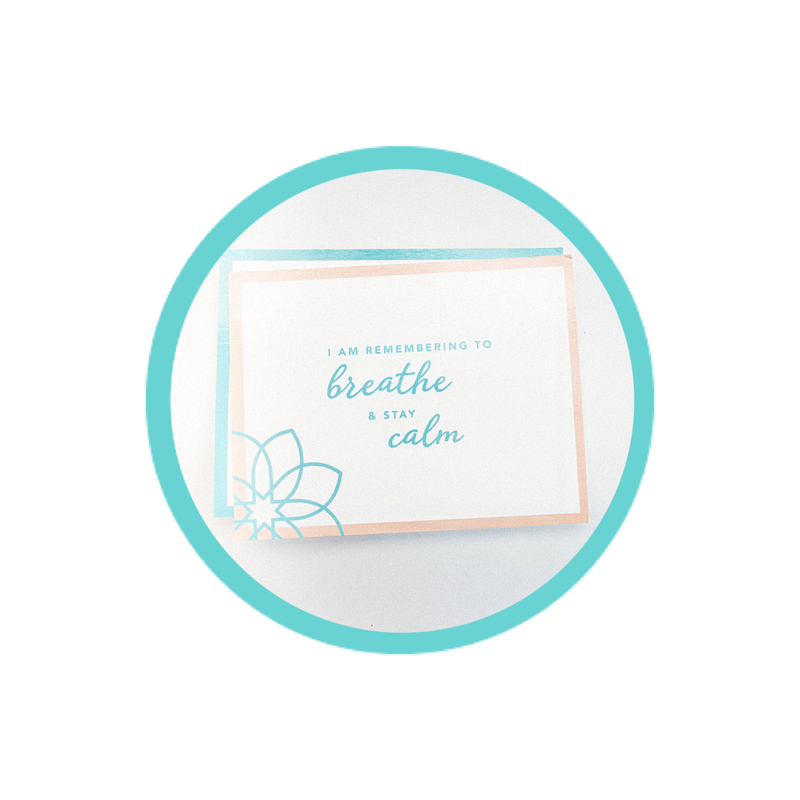 10.4 mg of Propylene glycol, which helps absorb extra water and maintain moisture in certain medicines. Propylene glycol has been recognized as safe by the FDA for use in food products. Are there any side effects from these ingredients? Some parents have concerns about use of the propylene glycol. Proplyene glycol is used in many medications (oral, topical, and injections) because it is a very good at helping medications absorb into liquid. Any cases about severe side effects from propylene glycol are from decades ago, and were related to very high doses. For example, in one case, infants were given a multivitamin that had 300mg of propylene glycol daily (Macdonald et al., 1987). This dose, which was 30 times higher than the one used in the Vitamin K shot, led to seizures in the infant. As far as allergic reactions to the Vitamin K shot, almost all of the cases in history occurred with the intravenous (IV) form, something that is never used in the newborn period unless an infant comes in with vitamin K deficiency bleeding. Side effects from vitamin K injection given at birth are incredibly rare and if they are seen, they end up being case reports due to rarity. 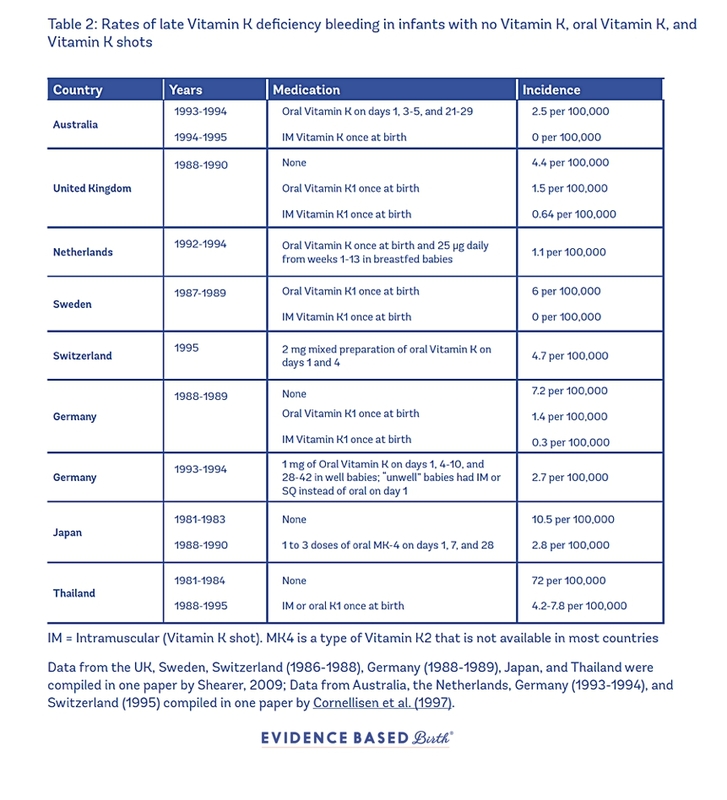 I could not find any case reports using the most recent version of vitamin K used in the U.S., in which the infant became severely ill or died from it. Before the 1960s (mostly in the 1950s) there were some reports of severe jaundice and anemia, as the dose was not determined and the formulation was quite different. During this time they were using a water soluble version of the vitamin K shot and following these cases, they changed to the fat soluble version that is used today. In 2014, researchers published a case report about an infant who had a severe allergic reaction to the shot and went into shock. The infant survived, but researchers were unable to figure out why the newborn had this type of reaction. They noted that this was the first case ever reported in which an infant went into an allergic shock from Vitamin K, when the shot has been given all over the world for many decades (Koklu et al. 2014). Any injection can lead to site irritation and redness, but this is rare and it almost never leads to any intervention. Injections can also cause pain, which can be minimized by nursing the baby during the shot. Does circumcision increase the need for Vitamin K injection? Circumcision sites are frequently listed as a site of bleeding when infants have classical (first-week) VKDB. Unfortunately, circumcision often takes place when Vitamin K levels in the infant are lowest—during days 2 and 3 of life (Shearer 2009). Infants who are circumcised and whose parents decline Vitamin K may be more likely to experience bleeding at the circumcision site, especially if the baby is breastfed. In a large clinical trial in the 1960s, researchers found that administering Vitamin K at birth can decrease the risk of bleeding during a circumcision. In this study, infants who were born on odd-numbered days received a Vitamin K shot at 24 hours of age, while infants who were born on even-numbered days did not. Bleeding occurred after circumcision in 6 out of 240 infants (2.5%) who received Vitamin K, and 32 out of 230 infants (13.9%) who did not have the Vitamin K shot (Vietti, Stephens et al. 1961). Does eating a maternal Vitamin K rich diet during pregnancy and nursing help Vitamin K levels in newborns? There is no good evidence that giving the mother extra Vitamin K during pregnancy can prevent VKDB in infants. In the largest known study looking at diets and Vitamin K deficiency, researchers followed 683 mothers before pregnancy and after giving birth. Blood was drawn from mothers during labor and from the umbilical cord after birth. Mothers were asked about their diet during pregnancy and also interviewed by a dietitian during the postpartum period. Researchers found no relationship between the Vitamin K status of mothers and that of their infants (Chuansumrit, Plueksacheeva et al. 2010). Some people have suggested that an alternative strategy for boosting the Vitamin K intake of breast fed babies is for the mother to take a daily supplement herself after birth. There is a small amount of evidence supporting this strategy. In one small study with only 6 mothers, a 2.5 mg oral dose twice a day (5 mg total per day, or one hundred times the amount that would otherwise need to be given to the baby each day) was enough to raise the vitamin content of the milk to acceptable levels (Bolisetty, Gupta et al. 1998). In another small study, researchers looked at a small number of mother-infant pairs– first 10 pairs, and then 20 pairs. This study took place in the U.S., and all infants also received the Vitamin K shot at birth. In the first phase, mothers were randomly assigned to take 2.5 mg or 5 mg of Vitamin K daily by mouth. They found that the 5 mg doubled the amount of Vitamin K in breast milk compared to 2.5 mg (Greer et al., 1997). So they decided that 5 mg daily was the best dose. In the second part of the study, 22 mothers were randomly assigned to take either 5 mg of Vitamin K daily with a meal, or placebo. All of these mothers were already eating levels of Vitamin K above the U.S. recommended level. But the Vitamin K had a dramatic effect on breast milk levels of Vitamin K, increasing it 70 times compared to placebo. Giving the mothers 5 mg of Vitamin K daily also increased the baby’s Vitamin K levels by 6-10 times, and blood markers of Vitamin K deficiency were lower in the 5 mg group. Because there are no licensed oral infant Vitamin K supplements in the U.S., maternal supplementation may be an option for those who refuse Vitamin K for their infants. In a large Japanese study with more than 3,000 mother-infant pairs, researchers tested a maternal dose of 15 mg of Vitamin K2 by mouth once a day. They found that this dose resulted in low infant Vitamin K levels in only 0.11% of the treatment group. It is important to note that the infants also received oral Vitamin K, twice during the first week of life (Nishiguchi, Saga et al. 1996). What is the take-away point on giving Vitamin K to the mother? Well, so far, the studies that have been done looked at babies in which both the babies AND their mothers received supplements. No research has been done on maternal supplementation alone, probably for ethical reasons. It appears that when the mother takes 5 mg of Vitamin K per day, that this is very effective in raising levels of Vitamin K in breast milk, and probably raises Vitamin K levels in the baby. But so far, researchers have not tested the effects of maternal Vitamin intake on rates of actual Vitamin K deficiency bleeding in infants. Why is the Vitamin K1 injection the preferred method in the U.S.? There is no proven oral version of Vitamin K available for infants in the U.S. The shot is absorbed more easily than the oral version. The shot has a delayed release effect that protects against both classical and late bleeding. In contrast, the typical 3-dose regimen of oral Vitamin K1 lowers the chance of VKDB but does not eliminate it entirely. Also, infants with underlying (and sometimes undetected) gallbladder or liver disorders may not be able to absorb the oral Vitamin K when it is given in a 3-dose regimen. To learn more about a more effective weekly dose of Vitamin K, see the section on “Weekly and Daily Dosing of Oral Vitamin K” below. One reason that other countries may use the oral version of Vitamin K is because mothers and infants usually receive home visits from nurses. Home care does not routinely occur in the U.S., and if the oral version is used, the parents need a reminder to administer the follow-up doses, and someone needs to monitor that the infant does not spit it up. 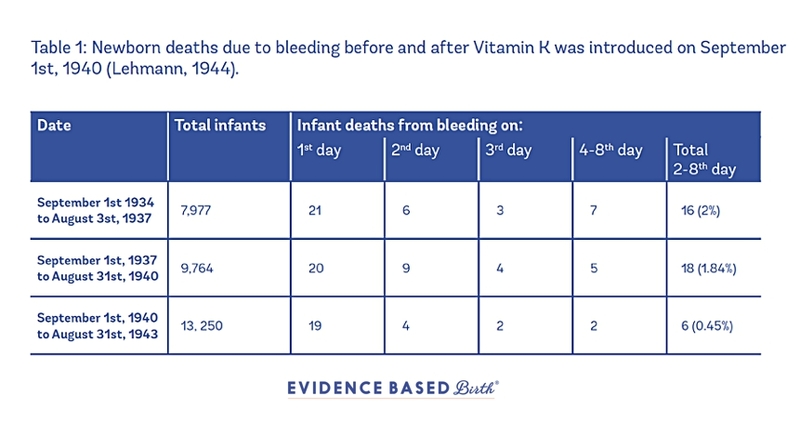 When oral Vitamin K is used it requires at least 3 doses (birth, 1 week, and 6 weeks), and the breakthrough cases of Vitamin K deficiency bleeding are often related to missing the final dose (Busfield, Samuel et al. 2013). Why do so many countries use different regimens? The main reason that different countries use different regimens is because they don’t always have the same types of Vitamin K available. For example, oral Vitamin K is offered to almost all parents in the United Kingdom who refuse the Vitamin K shot, but that is because they have a licensed oral version available. If all infants are born with low Vitamin K levels, is it really a deficiency or is this the natural design of human beings? VKDB, although catastrophic when it happens, is rare. So if you are looking at this as a case of “survival of the fittest,” perhaps there is not a pressing need for newborns to be born with higher levels of Vitamin K.
When infants are born, many of their systems are not fully developed yet. For example, their nervous system and immune system are immature. It is possible that maybe an infant’s clotting system also needs time to mature and come into its full strength. Perhaps there is a reason we don’t know of that leads to low transmission of Vitamin K from mom to baby before and after birth. Maybe there is an unknown beneficial mechanism that is preventing some kind of environmental toxin from reaching the baby, and this mechanism also has the side effect of keeping Vitamin K from reaching baby in sufficient quantities through the placenta and breastmilk. You could also make the argument that it doesn’t really matter why babies are born with low levels. The point is that they are born with low levels of Vitamin K, and that some babies will die from Vitamin K deficiency bleeding if they do not receive supplemental Vitamin K at the beginning of life. Most will not bleed. But some will, and some will experience brain injury or death. And these injuries and deaths are 100% preventable. Are there any other risk factors for late VKDB, aside from breastfeeding? The two main risk factors for VKDB are exclusive breastfeeding and not receiving the Vitamin K shot. Virtually all cases of VKDB happen in infants who are exclusively breastfed and who have not received the shot. One more uncommon risk factor is undiagnosed gallbladder or liver problems. Babies with gallbladder or liver problems are more prone to Vitamin K deficiency. They have trouble absorbing Vitamin K and other fat-soluble vitamins. However, this condition is extremely rare (1 out of every 60,000 babies), and it has no relationship to adult gallbladder or liver disease. This means that you cannot use a “family history of gallbladder or liver disease” to predict whether or not your baby will have this problem. Also, the first sign of a baby’s gallbladder or liver problem is usually a bleed in the brain or stomach. So most parents don’t know their baby has this very rare problem until the baby starts bleeding (van Hasselt et al, 2008). It is important to note that Vitamin K deficiency bleeding can happen to any infant, whether they are pre-term and full-term, male or female, trauma or no trauma. Researchers have not been able to identify exactly which infants are at highest risk. Because of this, doses of Vitamin K are typically given to all newborns or to those whose mothers intend to exclusively breastfeed (Shearer, 2009). 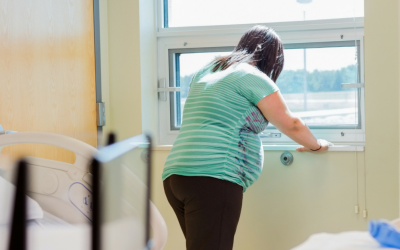 Do you need Vitamin K if you have a trauma-free birth? 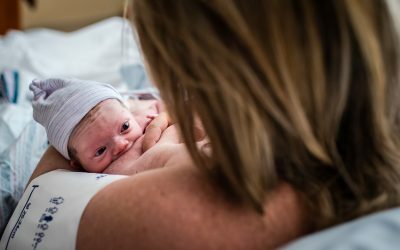 Do we perceive a need for Vitamin K simply because it was studied during years of operative vaginal deliveries (forceps, vacuum) when babies were cord clamped immediately and taken away from moms with no breastfeeding all? There is simply no evidence to support this theory. In 1944, researchers who introduced the Vitamin K shot found that babies may be more likely to have brain bleeds or intestinal bleeds shortly after birth if they had a traumatic birth (Lehmann, 1944). However, this 60-year old finding has evolved into a myth in which people believe that the only babies who are at risk are those who had traumatic births (Cesarean section, forceps, or vacuum delivery). I have seen this myth perpetuated in many blog articles and on social media, without any supporting evidence or references to back up these claims. In fact, I could find no recent evidence supporting the theory that infants born with instrumental help, or by Cesarean, are at higher risk for Vitamin K deficiency bleeding. In one of the largest studies on this topic, Thai researchers followed women during pregnancy and after birth and examined risk factors for Vitamin K deficiency. The researchers labeled infants as “high risk” for Vitamin K deficiency if they were small for gestational age, born pre-term, or were born by Cesarean or forceps/vacuum delivery. The researchers found no difference in the percentage of infants with Vitamin K deficiency between the low-risk and high-risk infants (Chuansumrit et al, 2013). As far as insufficient breastfeeding in the first hours of life goes, there is a link between insufficient amounts of breast milk in the first few days of life and classical VKDB. And it is theoretically possible that traumatic experiences at birth would make a baby more likely to bleed during the first week of life if they have low Vitamin K levels. But research (see above) has not supported the theory that traumatic deliveries are directly related to Vitamin K deficiencies. Also, this theory does not explain late VKDB, which happens a week or more after birth, and is the more dangerous kind of bleeding. Late VKDB occurs too late to be impacted by the type of delivery. As mentioned earlier, the timing of cord clamping probably does not have any effect on VKDB, since Vitamin K is usually undetectable in cord blood. Finally, an example of infants bleeding after “gentle births” can be seen in the case report from Tennessee. In the six infants who bled in 2013, none of them had traumatic births. They were all healthy, exclusively breast fed infants born during spontaneous vaginal births at term. In summary, the most important risk factors for VKDB are exclusive breastfeeding and not getting the Vitamin K shot. Evidence does not support the claim that trauma at birth has anything to do with VKDB. What is the exact number of lives saved with the Vitamin K shot? The statistics vary from country to country. In Asian countries, where rates of VKDB are high, if you administer the Vitamin K1 shot to 100,000 infants, researchers estimate this would prevent 11 deaths, 340 years of lost life from the children who would have died, and 53 cases of life-long disability (Danielsson, Hoa et al. 2004). In European countries, when they went from no Vitamin K1 to giving Vitamin K1 shots, researchers estimate that this probably prevented anywhere from 4 to 7 cases of late VKDB per 100,000 infants (Shearer, 2009). Is there a risk of leukemia associated with injection? In 1990, a British newspaper reported that researchers had found a link between Vitamin K injections and childhood leukemia (Golding, Greenwood et al. 1992). When the study was published, there was a massive switch in Great Britain from the Vitamin K shot to oral Vitamin K. There was also a huge rush to study Vitamin K1 injections to find out whether there really was a link between the injection and cancer (Shearer 2009). Over the next two decades, there were a total of 12 studies examining the link between injectable Vitamin K and leukemia. Out of these 12 studies, two small studies (one being the original study) found a link. The other 10 studies found no relationship between Vitamin K and childhood cancer. In 2002, researchers combined data from six major studies that looked at the potential relationship between Vitamin K and childhood cancer. There were 2,431 children with cancer and 6,338 children without cancer in these studies. The researchers found no association between injectable Vitamin K and any type of childhood cancer (Roman, Fear et al. 2002). After twenty-four years of studying the possibility of a link between Vitamin K and childhood cancer, researchers have now come to the conclusion that there is no evidence supporting a relationship between Vitamin K and leukemia or other childhood cancers (Shearer, 2009). However, these fears still persist in the general public. In fact, some of the children in Tennessee who developed life-threatening VKDB did not receive Vitamin K because their parents thought that the shot could cause leukemia. This is not surprising, given that rumors, myths, and non-evidence based information about Vitamin K run rampant on the internet. For example, I found a 2013 blog article on a popular natural health website, claiming that your child’s chance of getting leukemia from the Vitamin K shot is 1 in 500. The same article, as well as others, lists the side effects of intravenous Vitamin K and state that your child is at risk for these side effects if they receive the Vitamin K shot. These authors do not even understand the difference between intravenous and intramuscular injections. And yet parents all over the world are reading information from these websites and making important health decisions based on misleading and inaccurate claims. Please do not make any health decisions for yourself or your family based on information you read on the internet (including this article) without talking with your healthcare provider first. Is anyone keeping nationwide stats on how many infants get Vitamin K, and how many infants develop bleeds? What is the evidence for the oral and injectable versions of Vitamin K? Are they effective? In 2009, researchers published a Cochrane review combining the results of 13 studies that randomly assigned infants—almost all of whom were born at term and without complications—to either oral or injectable Vitamin K. Because late VKDB is so rare, the researchers could only look at the effects of Vitamin K on classical VKDB and laboratory results (Puckett and Offringa 2000). Most of the studies in the Cochrane review looked only at infants who were exclusively breastfed. Two of the studies were done in the 1960s, and the rest took place between 1985 and 1996. What treatments did the researchers study? Seven studies compared one dose of oral Vitamin K to one dose of injectable Vitamin K. Doses ranged from 1-6 mg and were given within 12 hours of birth. One study compared three doses of oral Vitamin K to one dose of injectable Vitamin K.
Four studies compared one dose of oral Vitamin K to nothing or placebo. Four studies compared one dose of injectable Vitamin K to nothing or placebo. None of the studies specifically looked to see whether there were any side effects. In two very important studies that took place in the 1960s, researchers compared injectable Vitamin K to no Vitamin K for the prevention of classic VKDB. The researchers found that Vitamin K led to a 27% decrease in the risk of bleeding between one and seven days, and an 82% decrease in the risk of bleeding after a circumcision. In the other studies, most of the researchers found no cases of bleeding. This is because VKDB is such a rare outcome that it is hard to study in a clinical trial. Instead, researchers looked at changes in laboratory results that indicate Vitamin K deficiency. Multiple researchers found that giving Vitamin K1—whether it was a shot or an oral dose—significantly improved the baby’s lab results in the first week of life, when compared to nothing or a placebo. In the studies that compared the Vitamin K shot to a single dose of oral Vitamin K, some researchers found no difference in lab results. However, when researchers looked specifically at Vitamin K levels, they found that the Vitamin K shot resulted in significantly higher levels of Vitamin K at one week and one month when compared to the single oral dose. Is there any evidence that Vitamin K can prevent late Vitamin K deficiency bleeding? Because late VKDB is such a rare event, all of the clinical trials in the Cochrane review were too small to determine if Vitamin K can prevent late VKDB. In fact, it would take 700,000 infants per treatment group—1.4 million infants in total—to determine a difference in late VKDB. This kind of trial is impossible to carry out (Cornelissen, von Kries et al. 1997). So instead of looking at clinical trials, we need to review studies that compare regimens in different time periods. For example, you could compare rates of VKDB during time periods when countries used nothing, when they used oral Vitamin K, and when the Vitamin K shot became standard care. Table 2 shows the rates of late VKDB in multiple countries over different time periods. As you can see, the Vitamin K shot (IM Vitamin K1) basically eliminated all cases of late VKDB. The use of three doses of oral Vitamin K1 (at birth, one week, and one month of age) lowered the risk of late VKDB but did not eliminate it entirely. Why does oral Vitamin K sometimes fail to prevent bleeds? Let’s look at Germany as an example of how oral Vitamin K can sometimes fail to prevent bleeds (Table 2). In 1993-1994, Germany was using a 3-dose oral regimen of Vitamin K. In the 3-dose regimen, infants received 1 mg of Vitamin K orally 3 times—at birth, 1 week, and 2-3 months. During this time, Germany had 32 cases of VKDB out of 1.2 million births (for an incidence of 2.7 per 100,000) (von Kries, Hachmeister et al. 1995). Out of these 32 cases, 2 infants did not receive any Vitamin K at all, 6 infants did not complete the entire 3-dose regimen, and 22 received all 3 doses of oral Vitamin K. This means that the 3-dose oral regimen—even when all 3 doses were given—still failed some of the time. In other words, although giving 3 doses of oral Vitamin K1 is better than nothing, it does not work 100% of the time, and infants who receive the oral regimen are still at risk for late VKDB. If parents choose the oral version of Vitamin K, it is very important that they give their infant all three doses. However, even if all three doses are completed, the infant will still be at risk for bleeding. On the other hand, almost every research study has shown that giving the Vitamin K shot works nearly 100% of the time at protecting infants from late VKDB. What about the daily and weekly oral regimens for Vitamin K? Between 1994-2000, all infants had 2 mg oral Vitamin K after birth, then 1 mg of oral Vitamin K weekly, as long as at least 50% of their daily feedings were made of breast milk. Most (94%) of parents reported that they gave all the weekly doses. After 2000, all infants had 2 mg Vitamin K shots at birth. The results? There were 30 Dutch infants who were breastfed and had gallbladder problems. All 30 of these infants had a Vitamin K deficiency. Almost all (29 out of 30) had a severe deficiency, 83% had bleeding (late VKDB), and 43% had brain bleeds. There were 23 Danish infants who were breastfed and had gallbladder problems. Five out of these 23 infants had a Vitamin K deficiency, and two of the five had late VKDB. There was one case of late VKDB after the weekly oral Vitamin K, and one case of late VKDB after the shot. None of the Danish infants had a brain bleed. The risk of a breastfed baby with gallbladder problems having late VKDB was 8 times higher in the Dutch infants compared to infants who were part of both Danish regimens. The results showed that the Danish weekly regimen was more effective than the Dutch daily regimen, probably because the overall weekly dose (1 mg) was much higher in Denmark than the overall weekly dose given in the Netherlands (0.18 mg). After this study came out, the Netherlands increased their daily dose to 150 micrograms per day, so that it would be closer to the Danish overall total of 1 mg total per week (de Winter et al. 2011). Meanwhile, the Danish stopped using the weekly Vitamin K and now use the Vitamin K shot. The main reason that they stopped using the oral Vitamin K was because it was no longer available on the market. If the weekly or daily oral Vitamin K regimen is used, it is important to remember that when this fat-soluble vitamin is given on an empty stomach, it may not be absorbed as well as Vitamin K1 that is mixed into formula (Cornelissen, Kollee et al. 1993; Cornelissen, von Kries et al. 1997). 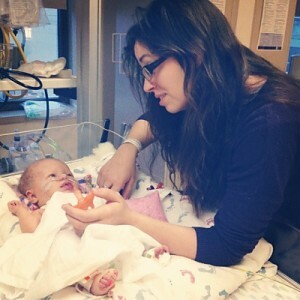 So if parents give their breast fed infants oral Vitamin K, it is important that they give it with a feeding, and make sure that it is not spit up. Is it possible to buy oral Vitamin K for infants? Many research articles say that oral Vitamin K1 is not available in the U.S. That is because there is not an FDA-approved oral version for sale.However, there was formerly an oral Vitamin K1 supplement, called K-Quinone (Scientific Botanicals, Inc) sold online in the U.S. K-Quinone is made up of Vitamin K1 from alfalfa, nettles, and green tea. This supplement is diluted in an olive and soy oil base. 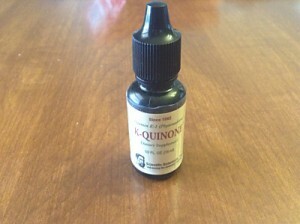 Because it was sold as a supplement without FDA approval, this medication was not required to have the stated amount of vitamin K. The amount could vary widely from vial to vial, and K-Quinone was not regulated or certified by a third party. What are the pros of the Vitamin K shot? What are the cons of the Vitamin K shot? What are the pros of oral Vitamin K? What are the cons of oral Vitamin K? What are the current recommendations for giving Vitamin K? The American Academy of Pediatrics states: “Vitamin K1 should be given to all newborns as a single, intramuscular dose of 0.5 to 1 mg.” They say that it is okay to delay administration of intramuscular Vitamin K until after the first feeding is completed, but that it should be given within six hours of birth. The AAP does not recommend oral Vitamin K, because some infants may have trouble absorbing it and there is no FDA-approved version in the U.S. In the Netherlands, the current practice recommendation consists of giving 1 mg Vitamin K orally directly after birth and a daily dose of 150 mcg from day 8 through 13 weeks of life (de Winter et al, 2011). 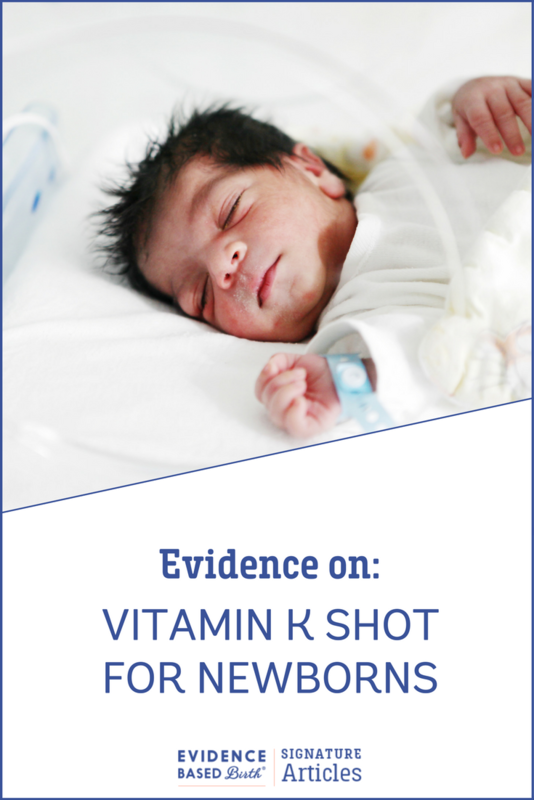 In New Zealand, the guidelines state that infants should receive 1 mg of Vitamin K as a single intramuscular shot at birth. If parents do not consent to the shot but do consent to oral Vitamin K, then 2 mg of Vitamin K should be given by mouth soon after birth, once at 3-7 days, and again at 6 weeks. Parents should be informed that bleeding can still occur with the oral Vitamin, even if the parents comply with the oral regimen. In the United Kingdom, guidelines state that all parents should be offered Vitamin K for their infants. The preferred way of giving Vitamin K is through a one-time shot shortly after birth. If the parents do not consent to the Vitamin K shot, they can be offered the oral Vitamin K, but they should be informed that this method requires multiple doses. Giving a breastfed infant a Vitamin K1 shot virtually eliminates the chance of life-threatening Vitamin K deficiency bleeding. The only known adverse effects of the shot are pain, bleeding, and bruising at the site of the injection. Out of many millions of injections, there has only been one report of an allergic reaction in recent history. A regimen of three doses of oral Vitamin K1 at birth, 1 week, and 1 month reduces the risk of bleeding. Although this 3-dose oral Vitamin K1 regimen is better than nothing, it is not 100% effective. It is important for parents to administer all 3 doses in order for this regimen to help lower the risk of late Vitamin K deficiency bleeding. The Danish regimen of 2 mg oral Vitamin K after birth and then 1 mg orally each week seems to protect infants at higher risk who have undiagnosed gallbladder disease. Recently, there have been many myths, misconceptions, and misinformation floating around the internet and social media about Vitamin K. It is important that parents look at the facts so that their consent or refusal is informed. Right now, parents who have been declining Vitamin K may not have all the information, or they may have been given inaccurate information. American Academy of Pediatrics. (1961). “Report on Committee on Nutrition: Vitamin K Compounds and the Water-Soluble Analogues.” Pediatrics 28: 501-507. Free full text. American Academy of Pediatrics (2003). “Controversies concerning vitamin K and the newborn. American Academy of Pediatrics Committee on Fetus and Newborn.” Pediatrics 112(1 Pt 1): 191-192. Bolisetty, S., J. M. Gupta, et al. (1998). “Vitamin K in preterm breastmilk with maternal supplementation.” Acta Paediatr 87(9): 960-962. Click here. Busfield, A., R. Samuel, et al. (2013). “Vitamin K deficiency bleeding after NICE guidance and withdrawal of Konakion Neonatal: British Paediatric Surveillance Unit study, 2006-2008.” Arch Dis Child 98(1): 41-47. Chuansumrit, A., T. Plueksacheeva, et al. (2010). “Prevalence of subclinical vitamin K deficiency in Thai newborns: relationship to maternal phylloquinone intakes and delivery risk.” Arch Dis Child Fetal Neonatal Ed 95(2): F104-108. .
Cornelissen, E. A., L. A. Kollee, et al. (1993). “Prevention of vitamin K deficiency in infancy by weekly administration of vitamin K.” Acta Paediatr 82(8): 656-659. Cornelissen, M., R. von Kries, et al. (1997). “Prevention of vitamin K deficiency bleeding: efficacy of different multiple oral dose schedules of vitamin K.” Eur J Pediatr 156(2): 126-130. Danielsson, N., D. P. Hoa, et al. (2004). “Intracranial haemorrhage due to late onset vitamin K deficiency bleeding in Hanoi province, Vietnam.” Arch Dis Child Fetal Neonatal Ed 89(6): F546-550. Free full text. De Winter et al. (2011). Ned Tijdschr Geneeskd. 2011;155(18):A93. Fear, N. T., E. Roman, et al. (2003). “Vitamin K and childhood cancer: a report from the United Kingdom Childhood Cancer Study.” Br J Cancer 89(7): 1228-1231. Free full text. Golding, J., R. Greenwood, et al. (1992). “Childhood cancer, intramuscular vitamin K, and pethidine given during labour.” Bmj 305(6849): 341-346. Greer, F. R., S. Marshall, et al. (1991). “Vitamin K status of lactating mothers, human milk, and breast-feeding infants.” Pediatrics 88(4): 751-756. Greer et al. (1997). Improving the vitamin K status of breastfeeding infants with maternal vitamin K supplements. Pediatrics 99(1): 88-92. Hanawa, Y., M. Maki, et al. (1988). “The second nation-wide survey in Japan of vitamin K deficiency in infancy.” Eur J Pediatr 147(5): 472-477. Ijland, M. M., R. R. Pereira, et al. (2008). “Incidence of late vitamin K deficiency bleeding in newborns in the Netherlands in 2005: evaluation of the current guideline.” Eur J Pediatr 167(2): 165-169. Free full text. Koklu et al. (2014). “Anaphylactic shock due to vitamin K in a newborn and review of literature.” J Matern Fetal Neonatal Med 27(11): 1180-1. Lehmann, J. (1944). “Vitamin K as a prophylactic in 13,000 infants.” Lancet 243(6294): 493-494. Lippi, G. and M. Franchini (2011). “Vitamin K in neonates: facts and myths.” Blood Transfus 9(1): 4-9. Free full text. Loughnan, P. M. and P. N. McDougall (1996). “Does intramuscular vitamin K1 act as an unintended depot preparation?” J Paediatr Child Health 32(3): 251-254. MacDonald, M. G. et al. (1987). “Propylene glycol: increased incidence of seizures in low birth weight infants.” Pediatrics 79(4): 622-5. Nishiguchi, T., K. Saga, et al. (1996). “Vitamin K prophylaxis to prevent neonatal vitamin K deficient intracranial haemorrhage in Shizuoka prefecture.” Br J Obstet Gynaecol 103(11): 1078-1084. Olson, R. (2000). Vitamin K. Modern nutrition in health and disease. M. Shils, J. Olson and M. Shike. Philadelphia, Lippincott: 363. Plank, R. M., T. Steinmetz, et al. (2013). “Vitamin K deficiency bleeding and early infant male circumcision in Africa.” Obstet Gynecol 122(2 Pt 2): 503-505. Polin, R. A., W. W. Fox, et al. (2011). Fetal and neonatal physiology, Saunders. 40. Puckett, R. M. and M. Offringa (2000). “Prophylactic vitamin K for vitamin K deficiency bleeding in neonates.” Cochrane Database Syst Rev(4): CD002776. Roman, E., N. T. Fear, et al. (2002). “Vitamin K and childhood cancer: analysis of individual patient data from six case-control studies.” Br J Cancer 86(1): 63-69. Free full text. Schulte et al. (2014). “Rise in late onset vitamin K deficiency bleeding in young infants because of omission or refusal of prophylaxis at birth.” Pediatr Neurol 50(6): 564-8. .
Shearer, M. J. (2009). “Vitamin K deficiency bleeding (VKDB) in early infancy.” Blood Rev 23(2): 49-59. Shearer, M. J., S. Rahim, et al. (1982). “Plasma vitamin K1 in mothers and their newborn babies.” Lancet 2(8296): 460-463.
van Hasselt, P. M., T. J. de Koning, et al. (2008). “Prevention of vitamin K deficiency bleeding in breastfed infants: lessons from the Dutch and Danish biliary atresia registries.” Pediatrics 121(4): e857-863. Vietti, T. J., J. C. Stephens, et al. (1961). “Vitamin K-1 prophylaxis in the newborn.” JAMA 176: 791-793.
von Kries, R., A. Hachmeister, et al. (1995). “Repeated oral vitamin K prophylaxis in West Germany: acceptance and efficacy.” BMJ 310(6987): 1097-1098.
von Kries, R., M. Shearer, et al. (1987). “Vitamin K1 content of maternal milk: influence of the stage of lactation, lipid composition, and vitamin K1 supplements given to the mother.” Pediatr Res 22(5): 513-517. Warren, M., A. Miller, et al. (2013). 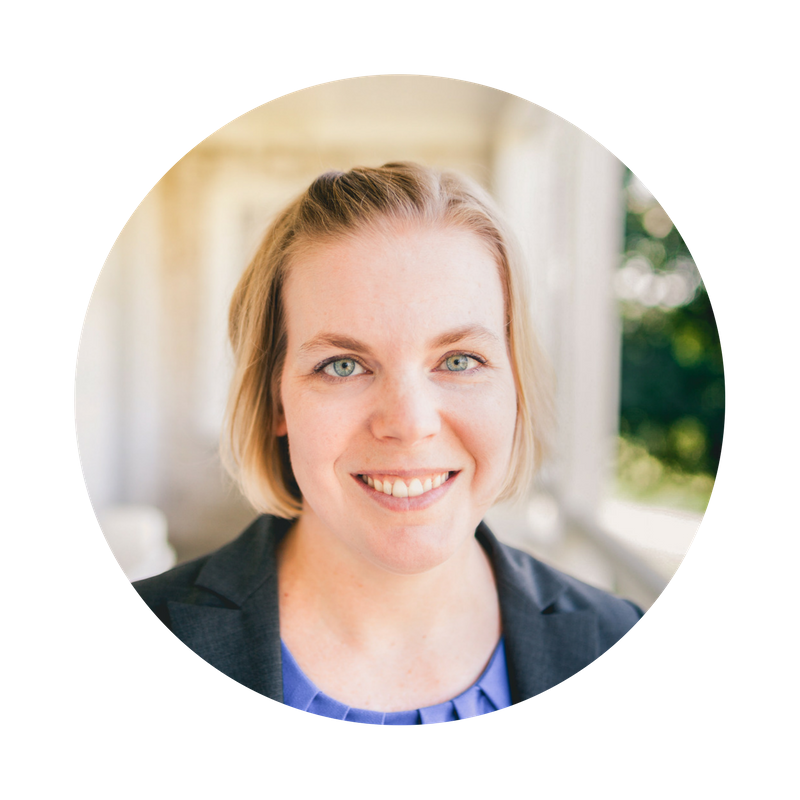 “Notes from the field: Late vitamin K deficiency bleeding in infants whose parents declined vitamin k prophylaxis– Tennessee, 2013.” Morbidity and Mortality Weekly Report 62(45): 901-902. Read an interview with Rebecca about what it was like to write this article! The Evidence Based Birth® Vitamin K article is in the news! The U.S. Centers for Disease Control linked to the Evidence Based Birth blog article here.